We are giving to all brethren a warm welcome from Bangladesh. We are really grateful to our Heavenly God because He is continuing to help us in our mission work. 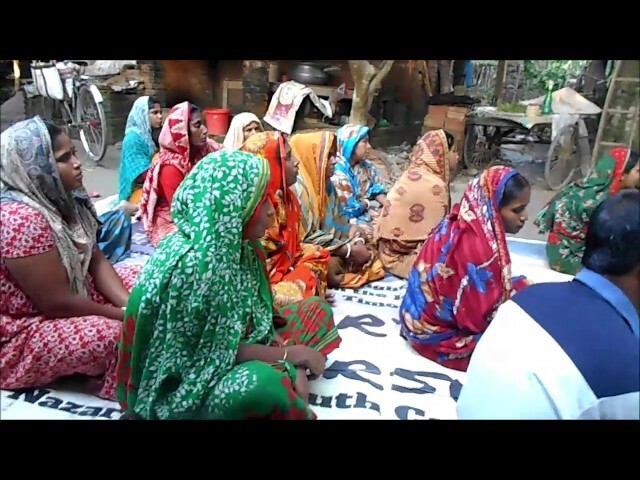 We are also giving thanks to our all brothers and sisters whose are praying and supporting our Bangladesh mission. Without you, this would not be possible. We are very thankful to the Lord for for his blessing because we are following His order. Our pastors and local leaders are doing a very good and hard job on their respective mission fields. Pastor Taopn is really very obedient and doing his job very well. He and his wife are doing work at Tala Church. 3 days each week he is visiting the Church and every family, taking care all people from home to home and man to man. His wife is also helping very much. Every Sunday he and his wife attend church and do worship. He teaches people how to obey God and follow His commands. He also visits every week the Ulludanga Church to help pastor Nimai. Further, he visits once a month Jossore, Banapole where pastor Apu is working.Pastor Nimai and Apu are learning from him, they are also very obedient to God. Our all Church members families are very happy with them. Our members are mostly from from Hindu and some are Muslim (former). Now they are attending every week top worship the One True God…JESUS. We are baptizing true believers as they join us in the Lord. We are very thankful to Lord. Our Sunday school teachers are also doing a very good job, they are teaching the children from Bible and also basic education. They visit every week all children to encourage joining Sunday school. They also talk to their parents about their children. They teach awareness to their parents about their childrens cares. Everything we are doing is with His blessing and following the Holy Bible. Our school is also continuing to do very good. Teachers are doing very hard job because now is year ending and final exam very soon. Also this year end, we have Parliament election on 30th December so the Government ordered us to finish all exams by 10th December. Teachers are very busy with this work and also they are doing work for next year because we are hoping next year we will have more new students. Local people are very happy about our school because they are realizing that their children are getting very good education. We are praying to God to bless our school, teachers and all children. Please pray for Tala Church because when we made the church house we could not finish the floor because of rain and muddy soil, but now all is OK so we are thinking to complete the floor. We need prayer and support to finish the work. Please pray for our school because we need to fix the school fence, some places are broken, it’s not huge but need to finish the work before next year so please pray and support for the work. Also, this is our last year at the current location. We were blessed with a free plot of land for 3 years as long as we left the structure there when we left. We need to find another piece of land and build another school. This will be a big undertaking but with your help, we can do it. Winter season is starting and every year we give some support to our mission fields with blanket or winter clothes. This year we have some new children and families and we are hoping to help them this year also. We need prayer and support for this work.